One of my new years resolutions was to go back to hot yoga classes. One month almost down, 11 to go… I have been attending classes at Blue Turtle on Wentworth St. and Charleston Power Yoga on upper King. The plus side is a great workout for mind and body in easy walk or bike from Elliotborough. The downside to all that great sweating is a slimy, disgusting yoga mat. 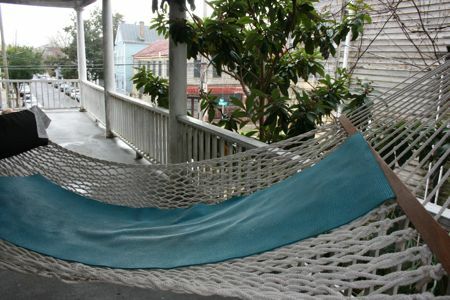 My solution and tip is to use your rope hammock as a rack, spray down with a mixture of tea tree oil and water in a spray bottle and air dry.